Diet and Inflammatory Bowel Disease. The two most important things I’ve learnt. For world IBD day here are the 2 most important things I have learnt from science and from over 20 years’ experience as a dietitian about diet and Inflammatory Bowel Disease or IBD. My clients often tell me that their doctor has said that diet has nothing to do with IBD (Crohn’s Disease and Ulcerative Colitis). This is a gross over-simplification but I understand where it comes from. The scientific evidence shows that medication is more effective at inducing remission (a medical term for reducing the severity of symptoms.) This is the case for both Crohn’s Disease and Ulcerative Colitis. Doctors don’t want people refusing effective treatments because they think that diet might do the trick just as well. Furthermore dietary interventions that support remission and help people stay in remission can be quite hit and miss which makes implementing the interventions expensive for the NHS. This is because everyone is different (see below). Saying that everyone is different is not the same as saying that diet has no role to play. You can’t absorb nutrients as well as you could before. 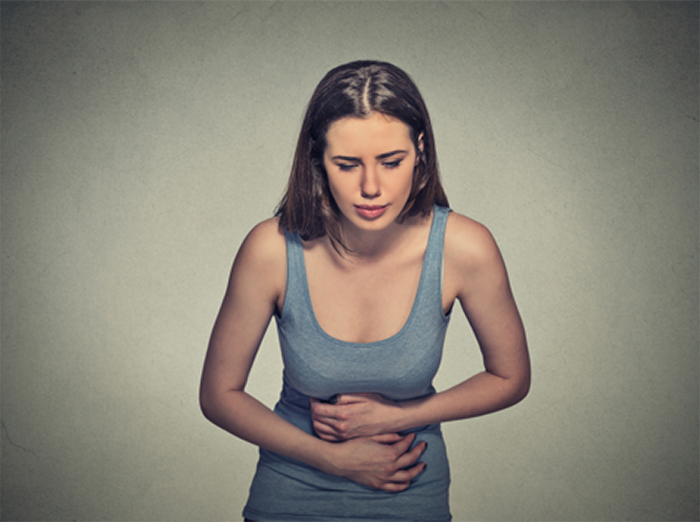 This can be made worse because drugs used to treat IBD can decrease nutrient absorption. Q: I have a hunch that certain foods make my symptoms worse should I just cut them out? A: No! If you want to try exploring how diet might be affecting your symptoms it is really important to do this with supervision from a dietitian. This is because you might end up avoiding foods you could actually enjoy and you might become deficient in key nutrients, some of which are even more important for people with IBD than for the general population. Q: Should I avoid dairy? A: Not unless your dietitian tells you that this is important for you. IBD decreases bone mineral density and calcium is essential for strong healthy bones. Although there are non-dairy sources of calcium the best sources are dairy foods. You should aim for 3 portions of dairy products a day ie a glass of milk, small piece of reduced fat cheese and a pot of yogurt. If you don’t like these foods or if you are vegan then ask your dietitian for specific advice. Q: What else should I do to keep my bones healthy? A: Make sure you are getting enough vitamin D. Good sources include oily fish, red meat, liver, egg yolks and fortified fat spread and cereals. In my experience people rarely get enough vitamin D from their diet and as we don’t see much sunshine in this country most people benefit from a supplement of 10ug/day as well as having foods that are good sources. Q: I am feeling very tired, could this be linked to my diet? A: If you have IBD you should be assessed for iron-deficiency anaemia and B12 deficiency regularly. Iron deficiency anaemia is common because people with IBD can lose a lot of blood as a result of the disease and because it’s harder for an inflamed gut to absorb iron. If you have anaemia it can be treated with oral or intravenous (i.v.) iron. IV iron is used more commonly because it does not further aggravate an already irritated gut like oral iron can. Your Dietitian will advise you on iron rich foods and maximising the absorption of iron from food. Food sources of iron do not aggravate the gut in the same way as oral supplements. Crohn’s disease in particular often affects the part of the bowel that absorbs vitamin B12. If you have enough healthy bowel in this area to absorb some vitamin B12 increasing your dietary intake or taking oral supplements might help. Meat, fish, milk, cheese and eggs and some fortified cereals are good sources. However many people need injections or nasal sprays of B12. Your dietitian will be able to assess your intake and symptoms and advise. Q: Despite huge improvements in my symptoms I still have oily, foul smelling diarrhoea. Could changing my diet help me? A: A low fat diet can help with this. Your dietitian will ensure that you are still getting enough calories to maintain a healthy weight, monitor your intake of the fat-soluble vitamins A, D, E and K and address any inadequacies. Q: When I was really ill I was told to forget about the usual healthy eating advice and just focus on getting as much energy in my diet as possible. Are normal healthy eating guidelines irrelevant for me? A: No. Now that your symptoms are better controlled it’s important to get plenty of fruit, vegetables, fibre, fluid and omega 3 fats whilst keeping your sugar, salt and total fat intake down. Some aspects of this may be problematic for you and so you should ask you dietitian for individualised advice. See below. People vary in their response to different foods and in their willingness to alter their diet whether or not this brings symptom relief. Once you are established on any medical treatment prescribed by your doctor it is important to have an assessment from a dietitian. Your dietitian will be able to explain what we know about diet and IBD from science and will explore your lifestyle, symptoms, weight and food preferences with you and give you individualised advice. With regard to general healthy eating you might find that fibre or certain types of fibre make your symptoms worse. Other people struggle with a low fat, low sugar diet because they are still working on getting their weight back up into the normal range. Whatever your challenge your dietitian will be able to help by ensuring that you get optimal nutrition for you with maximum symptom control. If you have Crohn’s disease and think that certain foods make your symptoms worse you may wish to try the LOFFLEX diet. LOFFLEX stands for low fat, fibre limited, exclusion diet. It is not so much a diet as a diagnostic tool to help you identify food triggers for your symptoms so that you can minimise your symptoms. There is some evidence that people who stick to safe foods identified by using the LOFFLEX approach stay in remission for longer. Support from a dietitian is essential if you want to try this approach, as the process of initially restricting and then systematically re-introducing foods is complex and must be individualised by someone with professional expertise. You will also need a thorough assessment of your diet at the end of this process to make sure it is nutritionally adequate. There is also a lot of research going on looking at the relevance of the FODMAP diet for people with IBD. FODMAP stands for fermentable oligosaccharides, disaccharides, monosaccharides and polyols. Like LOFFLEX, FODMAP is a diagnostic tool to help people identify food triggers. Foods are eliminated and then reintroduced one by one until a final list of safe foods and foods that trigger symptoms is produced. Much more research is needed with regards to FODMAPS and IBD but it is an interesting area to watch. The standard treatment for ulcerative colitis once in remission is aminosalicylic acid (5-ASA). However if you are allergic or intolerant to this drug then probiotics can help. A number of scientific studies have shown that the probiotic E. coli Nissle 1917 is effective at maintaining remission for people who cannot tolerate drug treatment. It is not advisable to simply try the standard probiotic yogurts and other products available in supermarkets as the scientific evidence for benefit from the strains of bacteria in these products is conflicting. If you think probiotics might help you have a chat with your dietitian and gastroenterologist. If you would like help with diet for your IBD please take a look at my website and make an enquiry. This entry was posted in Irritable Bowel Disease and tagged Crohn's Disease, FODMAP, IBD, LOFFLEX, probiotics, Ulcerative Colitis by Stephanie.fade. Bookmark the permalink.